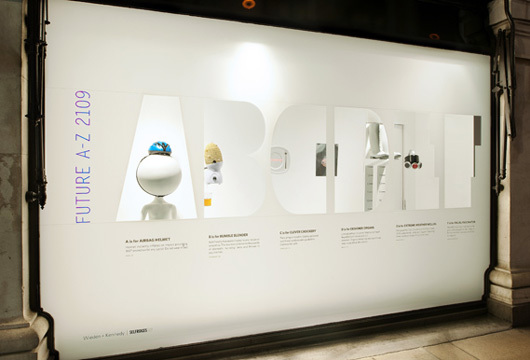 Selfridges A to Z by Wieden + Kennedy | Shelby White - The blog of artist, visual designer and entrepreneur Shelby White. Selfridges & Co. is a chain of high end department stores in the United Kingdom. 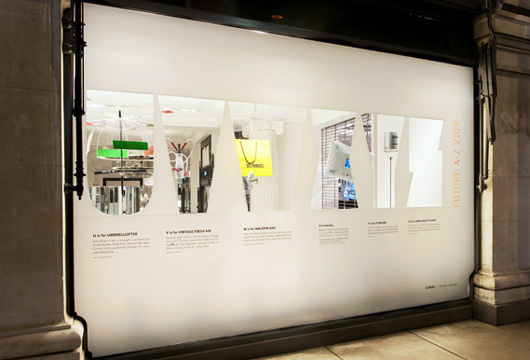 Selfridges commissioned Wieden + Kennedy to create an A to Z of products of the future to fill its windows. One letter however, was left blank–X. Selfridges’ shoppers were asked to submit their own ideas for a product that might prove essential come the year 2109 and beginning with the letter X. 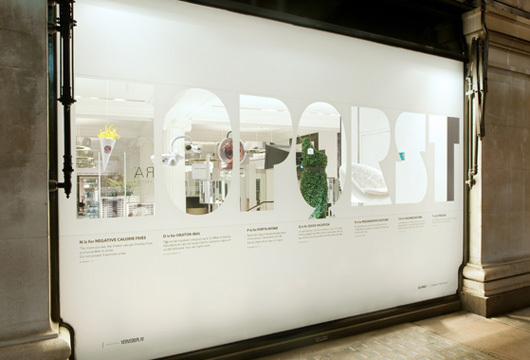 A model of the winning idea would be displayed in the London store’s windows, alongside W+K’s efforts for the other letters, which are supposed to represent “essential objects that may become commodities in the future”. Read more at Creative Review.